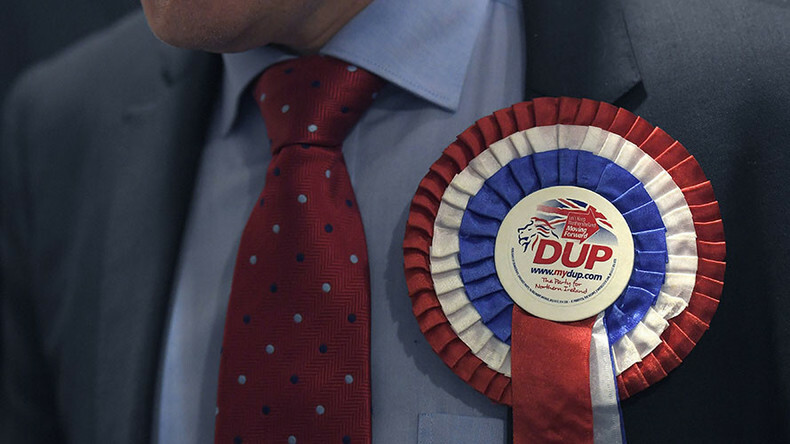 Tag Archives: DUP/ TORIES ALLIANCE. THE BEADY EYE SAY’S: THERESA MAY’S HAS LOST HER GRIP ON REALITY. DUP/ TORIES ALLIANCE., Theresa May Artifical Intelligence. Delusional Theresa May’s unholy alliance with the grasping Orangemen from Northern Ireland plunges the British Government in a shameful direct link to joining the funding of terrorists, criminals and bigots who even prey on their own community. The game’s over, She couldn’t negotiate her way out of a soggy paper bag, never mind secure a good Brexit deal. They recently used their role in government in Northern Ireland to set up a subsidy scheme for biofuels, which gave those who bought into it more money than they had to pay out. The Northern Irish exchequer ended up paying out around half a billion pounds to those who knew about the scheme. 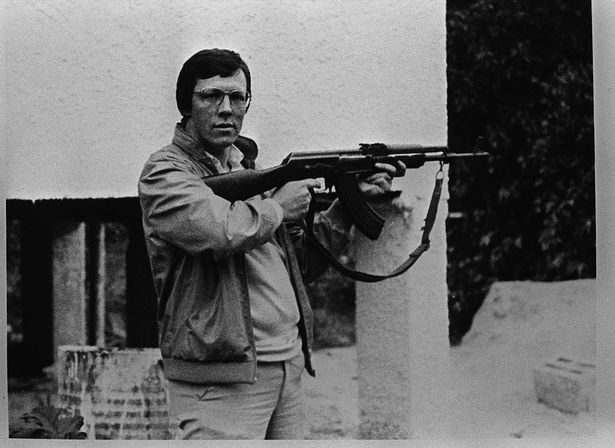 Former First Minister Peter Robinson, for example, who was DUP leader and Northern Ireland’s first minister until last year, was an active member of Ulster Resistance. 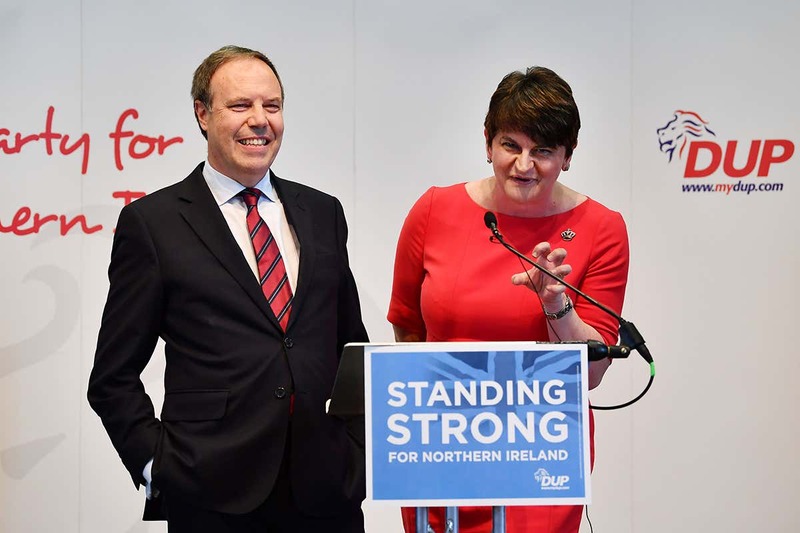 Their deputy leader and leader in Westminster is North Belfast MP Nigel Dodds (above) has the 13th highest expenses of any MP. 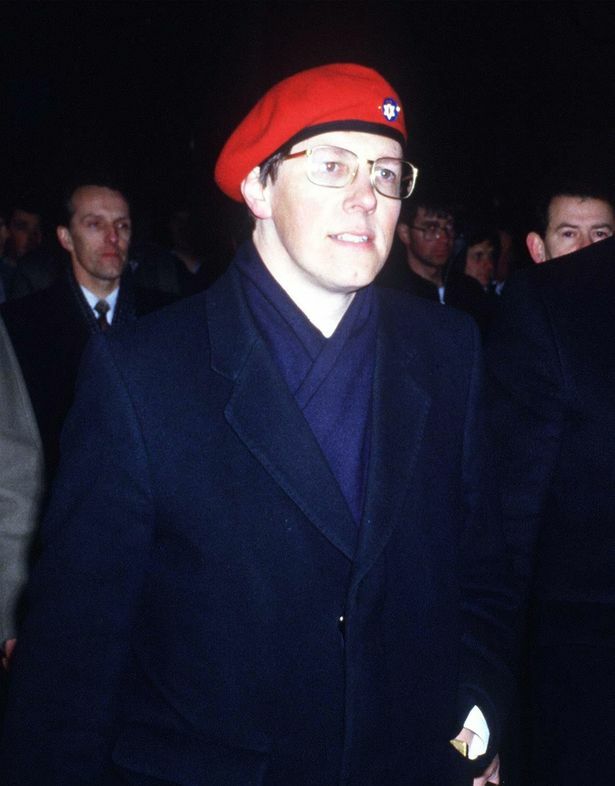 Their most famous politician was Ian Paisley, one of the founders of the party. We can only hope that the breathtaking delusion of Conservative is indeed hurtling them towards the exit door. Relying on grasping Orangemen from Northern Ireland to survive in power is the 21st Century version of frightened Anglo-Saxons paying protection money to marauding Danish invaders.